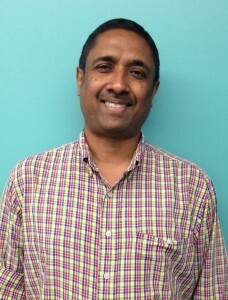 San Francisco – September 25, 2014 – NerdWallet, the fast-growing startup that helps consumers make smart financial decisions by putting knowledge in their wallets, has hired Bhaskar Ghosh as its Vice President of Engineering and Operations. Ghosh comes from LinkedIn, where he was the Senior Director of Engineering and Business Operations, leading the company’s core Data Infrastructure initiatives and driving strategic analytics platforms for the Sales and Marketing teams. Ghosh now joins NerdWallet as the company looks to solve one of the most complex problems facing Americans: making decisions about their personal finances. While at LinkedIn, Ghosh was a key leader in the company’s big-data push, and was responsible for building and leading a data-infrastructure team of more than 120 engineers while helping scale membership more than fivefold. During his four years there, Ghosh and his team built numerous platforms that turned LinkedIn into a major data-technology player and a hot spot for engineering talent. As Ghosh helped revolutionize how people network and find a job, he now joins NerdWallet as the company looks to shift consumer behavior surrounding personal finance by scaling its product and platform offerings. Prior to LinkedIn, Ghosh was at Yahoo, and before that he was at Oracle. Ghosh holds a Ph.D. in computer science from Yale University. Henke, a Silicon Valley veteran, joins NerdWallet as its first board and technology advisor. Most recently, Henke was the Senior VP of Engineering and Operations at LinkedIn, and before that he held senior executive positions at Yahoo, AltaVista and Silicon Graphics, and founded two software companies that were acquired. 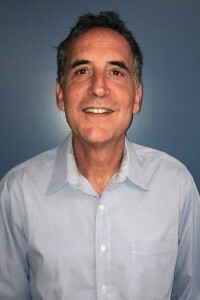 He is currently an active board member for Turn and Brigade Media. NerdWallet is home to teams of financial “Nerds” who crunch numbers and gather information to simplify financial decisions for consumers. The user-friendly site covers banking, credit cards, health, insurance, mortgages, shopping, small business and more. NerdWallet is bootstrapped, has more than 100 employees, and is looking to more than double in the next year.